Debt management companies provide debt management plans for individuals seeking debt relief. A debt management plan will consolidate most debts into a payment plan by a certified credit counselor that provides financial counseling. These debt management plans do not reduce the principal balance of the debts as is the case with debt settlement companies that negotiate debt balances for less than the balance owed. However, a debt management plan will usually lower interest rates so that more is paid monthly to principal to reduce the debt over the course of sixty (60) months. It is important to understand the limitations of credit counseling companies. While there is some benefit to the debt management alternative, the negatives generally outweigh the benefits of these programs. And aside from the substantive drawbacks to these plans, many consumers have been hurt by the unscrupulous behavior surrounding these companies. Consumers should be cautious in dealing with these companies as many have been hurt by desperate companies who do not account for funds paid. The one, and only, major benefit to credit counseling programs is that they get credit card companies to reduce their interest rates. Paying off debt at a lower interest rate permits a faster payoff with fewer dollars. To get you into the programs, there will be some shallow back and forth regarding your monthly budget and suggestions to cut costs. But the counseling is light and the goal is for the credit counselor to enroll a new customer into a payment plan. This is how they make their money. One inconvenient fact that credit counseling agencies selectively omit when signing clients up for debt management plans is the high failure rate of the programs. On average, the success rates of credit counseling programs is around 25%. This means that, on average, three out of every four debt management plans fail. For reasons discussed in more detail below, it is generally inadvisable for consumers to spend money in programs with a 75% failure rate. All debtors should be encouraged to choose a debt relief path that is feasible and is going to result in success for these sacrifices and financial discipline. Debt management plans fail for various reasons. Primarily, most people cannot afford the monthly payments even with the lower interest rates. Second, they are generally so arduous that an unexpected expense can make it impossible to make the monthly payment. There is no flexibility to payment and a single missed payment defaults the program and you have to start over. The credit counseling company continues to make their percentage on payments regardless of ultimate success. Lastly, and most importantly, is that some creditors and most collection agencies refuse to participate in the plan. While you struggle to make your monthly payment, there are other creditors that can or will continue to sue and garnish wages almost ensuring failure of any plan despite a debtor’s best efforts. For these reasons, debt management plans are always a partial solution. And a partial solution is really no solution at all. These programs are just ill-equipped to handle garnishments, junk debt lawsuits and local collection agencies. The truth is that too many people are enrolled in debt management plans without being counseled on other options such as bankruptcy. They are rightly criticized for emphasizing profit over people. Many are also often enrolled without being advised on feasibility and the probabilities of success. The Bankruptcy Reform Act of 2005 required that every person filing bankruptcy take a credit counseling course prior to their case being filed. The thought was that people could be encouraged to forego bankruptcy and seek alternative payment arrangements with proper budgeting. But this concept was ill conceived as few, if any, people decide to forego bankruptcy after taking the credit counseling course. What is unknown is how many people would choose to file bankruptcy if they were advised on all their options prior to entering credit counseling. A bankruptcy attorney can advise you on all your options, not just some of them. The majority of people entering debt management programs, and even more entering debt settlement programs, would most likely choose bankruptcy if their options were adequately explained to them in advance. The reality is that debt management plans are really just poor Chapter 13 plans without the benefits provided to Chapter 13 debtors such as the stay on creditor collection activities and significant principal reduction achieved in most Chapter 13 plans. Chapter 13 plans involve a reduced principal payout in almost all cases unlike a debt management plan. Chapter 13 plans also reduce the interest rates on unsecured debt to 0% and eliminates the risk of debt forgiveness income which exists in a debt management plan. Lastly, debt management plans involve negative credit reporting for the duration of the plan whereas Chapter 13 involves only a negative report on the date of filing. Consumers often have a hard time getting good, independent information in dealing with their debts. 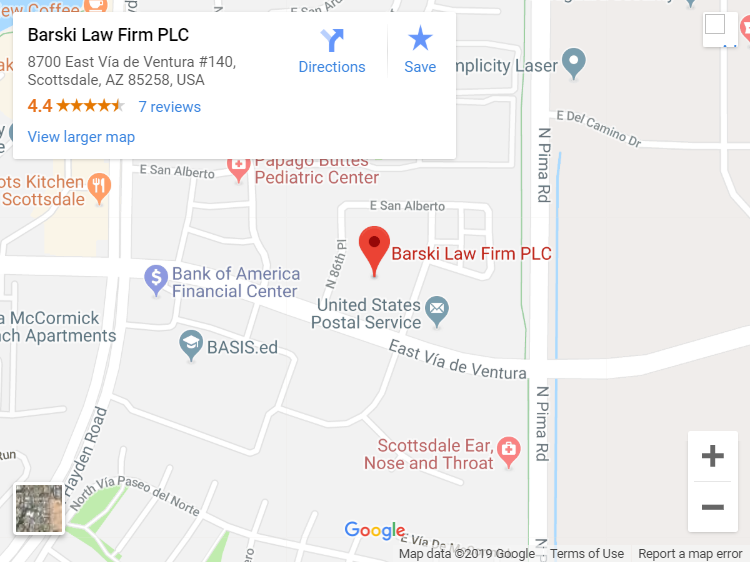 The best option is to consult with a bankruptcy attorney to understand all your options so that a consumer can make an educated decision that is both beneficial to them and likely to succeed.